Havasu Falls in Arizona’s Grand Canyon, also known as Havasupai Falls (pronounced HAVE-a-sue-PIE where the ‘a’ sounds like duh), is just one of several majestic waterfalls found on the Havasupai reservation that are anywhere from 50 to 200 feet high. While you will not see the amazing vistas Grand Canyon is known for, you will experience some of the most beautiful waterfalls in the Grand Canyon and in the United States. The hike to Havasu Falls is perfect for novice adventurers, a family vacation or a getaway with a group of friends. 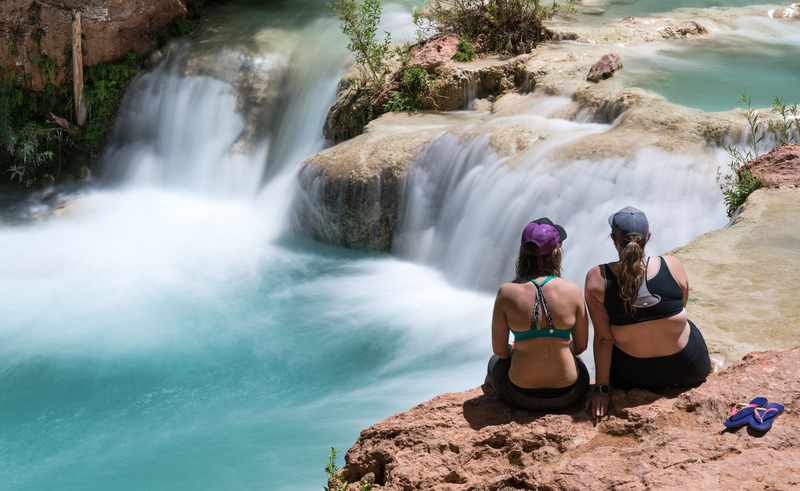 After you carry your backpacks into Havasu Canyon, you set up base camp at Havasu Creek and spend your free days exploring the trails in the area and swimming by waterfalls. The 10 mile hike to Havasupai takes you through the village of Supai, which is inhabited by the Havasupai Tribe, and then on to a Havasu Falls campground, the only place to camp while visiting the area. You also do have the option to stay at the lodge in the village of Supai, but it is still a 2 mile hike to see the waterfalls. While at the campground, you will have the opportunity to explore all 5 waterfalls – 50 ft, New Navajo, Havasu, Mooney and Beaver Falls. 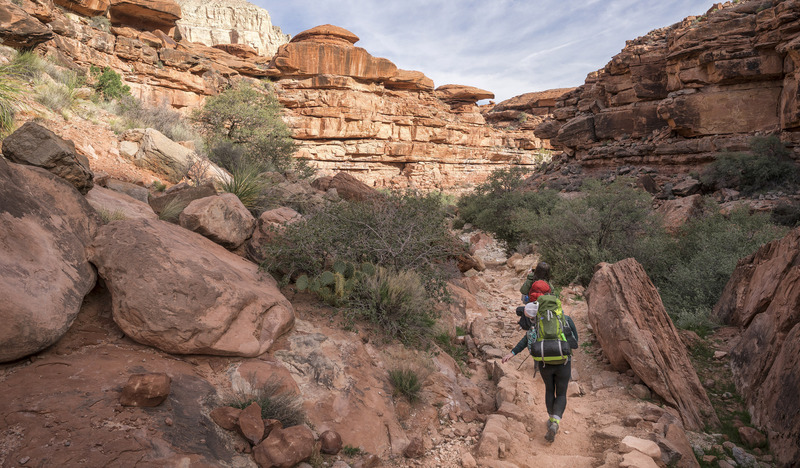 A Havasupai backpacking trip is great for the first time backpacker that has an above average level of fitness. You are hiking very well established and easy to follow trails where there are amenities at most campsites such as toilets, running water and even a couple food stands where you can buy an Indian Taco or a burger! The trail is well maintained and very easy to navigate. 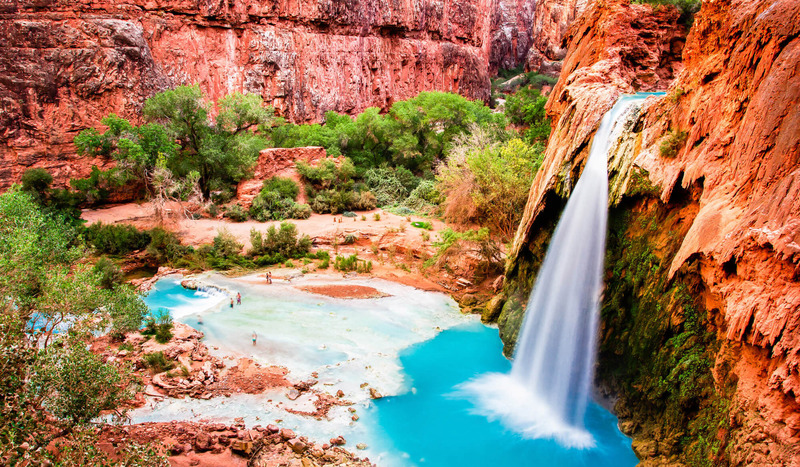 Plus, Havasupai is one of the few places you can hike in the summer months (June through August) since there is ample shade, water and creeks to stay cool and hydrated. However, do make sure to manage the heat in the summer and watch for flash flooding during the monsoon season mid June through mid July. If you really don’t know how to plan your trip, our outfitting services will take out all the guesswork and allow us to do the planning and footwork for you. Click here for more information about JRI’s outfitting services. **Spoiler Alert** If you are looking to experience Havasupai and all its amazingness without 100s of people, this is NOT the trip for you. You will be on the trail with 100s of other hikers – especially during the peak months of May, September and through mid October. *Please note: Due to the high demand and limited supply of permits available for Havasupai, we recommend having flexibility in your dates when trying to make your reservation on Feb 1st for all of 2019. The trailhead for Havasu Falls starts at Hualapai Hilltop. You will hike 10 miles (16.1 km) to the campground and descend about 2,200 ft (670.6 m). On the hike to the campground, you pass through the village of Supai, which has a post office, general store and cafe. In fact, Supai is the most remote village in the USA. Keep in mind the hike is mostly in a dry river bed so it is sandy and gravelly (meaning it can be slow goin’). Today is the perfect day to hike all day from the campground to Beaver Falls – a 6 mile round trip hike. 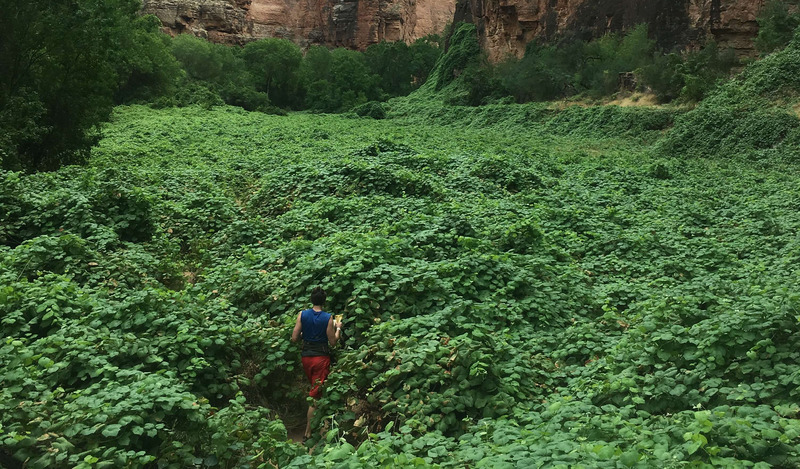 Along the trail between Mooney and Beaver Falls, you will cross the Havasu Creek several times and your path will take you through fields of canyon grape. Beaver Falls is a great destination as its is a lesser visited waterfall. 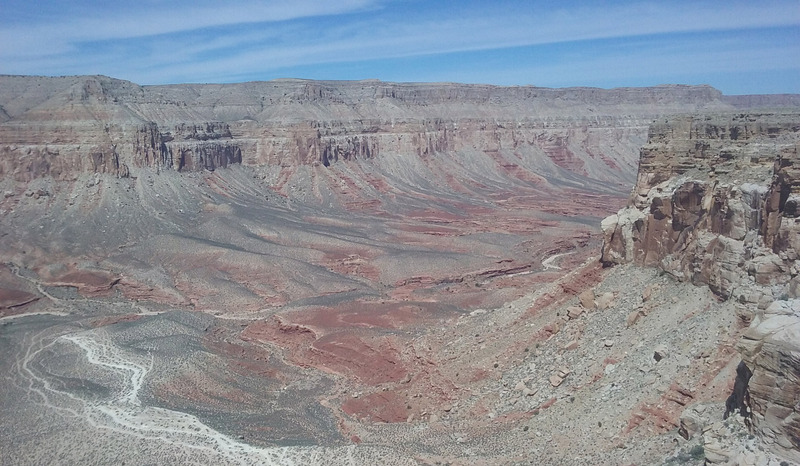 Go a little further and you will cross back into Grand Canyon National Park and can hike to the confluence of the Colorado River and Havasu Creek – a 16 mile roundtrip hike – but sooo worth it! 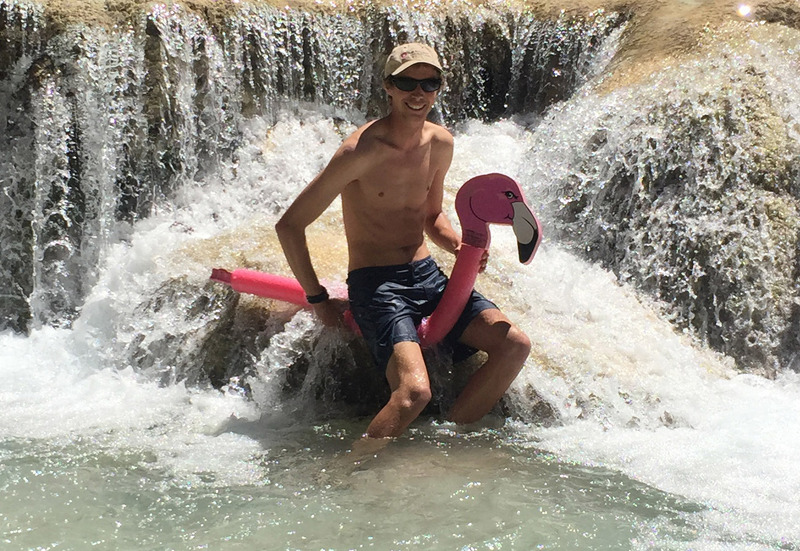 The 3rd day is a great day to just chill – whether reading a book by Havasu Creek, swimming in the many pools near the 4 water falls near camp – Havasu, Mooney, 50ft Falls and New Navajo Falls. There are plenty of places to swim and great scenery around every corner. You can also head back to the village of Supai for a lunch of Indian Tacos. Regardless of what you decide to do, an extra day spent at Havasupai is a must – if you have the time. If you don’t, make the time! You will follow the same trail you hiked in, but this time with an ascent of 2,200 (670.6 m) feet over 10 miles (16.1 km). The hike up is relatively gradual until the last 1.2 miles (1.9 km), is steep, but if you take it slow and easy, it is easy-peasy. As you are heading back, whether to Phoenix or west towards Las Vegas, make sure to head through Seligman, AZ for some Route 66 kitsch and grab a burger at the Sno Cap.